We’d love your help. Let us know what’s wrong with this preview of Winky's Colours by Anita Kovacevic. To ask other readers questions about Winky's Colours, please sign up. 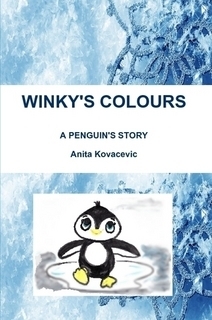 “Winky's Colours: A Penguin's Story” by Anita Kovacevic is not only adorable but also a wise book. 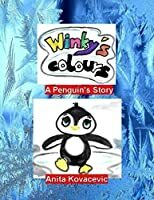 I guess most children have never thought about this question and therefore will “Winky's Colours: A Penguin's Story” by Anita Kovacevic is not only adorable but also a wise book. I guess most children have never thought about this question and therefore will be eager to ‘accompany’ Winky on his journey to find colors. Besides being educational, in Winky’s world “… are no rainbows there, because it never rains – it's too cold…” this beautiful story tells about friendship, environmental problems, and how to solve them. Since the author is a teacher, she has added useful questions at the end of each chapter, which parents and teachers can use to engage their children even more than only reading this adorable story will. Beautiful, love it. 5 stars coming from my heart! I hope Winky will have more adventures and publish them. Winky is a happy little penguin who loves colours! Unfortunately, everything around him is black, white or grey, so he decides to set off on an adventure to find colour! Will he find what he is looking for? The story is simple but beautiful. It makes us wonder: what's it like to live in a world with no colours? It's a question we seldom ask ourselves. I love that it makes us think and raises our awareness about pollution and environment (the topics I care very much about!) and it shows us the val Winky is a happy little penguin who loves colours! Unfortunately, everything around him is black, white or grey, so he decides to set off on an adventure to find colour! Will he find what he is looking for? The story is simple but beautiful. It makes us wonder: what's it like to live in a world with no colours? It's a question we seldom ask ourselves. I love that it makes us think and raises our awareness about pollution and environment (the topics I care very much about!) and it shows us the value of friendship! It's also symbolic: Winky looks for colours and excitement, for something different from his black and white reality, just like we humans do! Yes, it is short, and yes, it's a children's book, but I caught myself tapping my fingers on the table and half-squealing: ''Please, don't jump!'' I've really enjoyed reading it and my inner child would now like to get a toy penguin, thank you very much. I love that the author added questions at the end of each chapter to engage her young readers even more! What a lovely book for children their family and teachers alike. I love Winky he has a dream and he follows his heart, he is a penguin with guts! I love that this book has included environmental aspects and love of nature and care of wildlife, which is something close to my heart. I love also to see good quality books with a positive message that can be shared to children, who are like little sponges, forming hopefully good attitudes. There is also the added benefit of love, comfort and closeness What a lovely book for children their family and teachers alike. I love Winky he has a dream and he follows his heart, he is a penguin with guts! I love that this book has included environmental aspects and love of nature and care of wildlife, which is something close to my heart. I love also to see good quality books with a positive message that can be shared to children, who are like little sponges, forming hopefully good attitudes. There is also the added benefit of love, comfort and closeness that is cemented when an adult reads to a child and as they talk together, this is priceless. I enjoyed Winky’s colours and would recommend it to parents and teachers alike, for themselves and the children in their lives. A fantabulous story about a penguin, his home, those around him and his zest for what he wants. The author's inclusion of tasks make it an ideal book for the classroom as well as for parents wanting to extend their child's learning. I love the illustrations too!